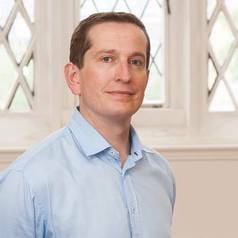 Andrew Baker has expertise in the areas of international financial governance, the politics of financial crises, the politics of economic ideas and the governance role of G groups. He teaches undergraduate and postgraduate modules in the broad area of political economy. He is currently conducting research into the emergence of macroprudential regulation after the financial crash of 2008. Andrew is the current editor of the British Journal of Politics and International Relations, a journal of the Political Studies Association. In 2013 he was a visiting fellow at the Centre for Governance and Public Policy, Griffith University, Brisbane. In 2011, he was a visiting professor at the Department of Business and Politics, at Copenhagen Business School and is currently an honorary fellow of the Sheffield Political Economy Research Institute of the University of Sheffield (SPERI). During 2008 he advised GCC states, the Islamic Development Bank and the IMF on the creation of a G20 type process for Islamic finance. He is the author of two books The Group of Seven (2006), and Governing Financial Globalization (2005), and over 30 articles and book chapters.